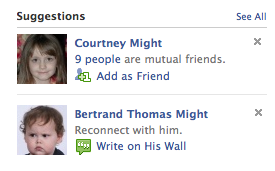 From now on, when I feel like connecting with Bertrand, I can just write on his wall. 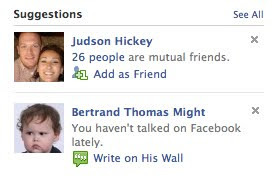 I actually had the same thing pop up on my facebook yesterday. My second "reconnect" was with Dan which I thought was hilarious.